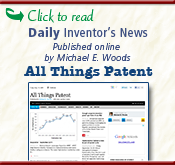 Registered patent attorney Michael E. Woods is a technologist and an entrepreneur at heart. Having patented and licensed many of his own inventions, the California-based patent attorney has an insider’s grasp of the complex patent process. Since he’s been there, done that, he knows how to make the experience as painless as possible, and he’s committed to long-term collaborations with clients. In more than 20 years of practice in California, Michael has helped scores of inventors file applications and obtain patents for their devices, processes, and systems. These have been in categories as diverse as electric vehicles, medical devices, computer peripherals, security products (physical and biometric), software, toys, green products, and business methods. Learn more about his patent law services. Michael left his first career designing infrared imaging systems and avionics for aircraft companies and went on to earn a law degree with High Honors from George Washington University. Upon graduating, he was recruited by Townsend and Townsend (now Kilpatrick Townsend), California’s largest and most prestigious intellectual property firm. Specializing in patent prosecution, client counseling and strategy, and licensing, Michael achieved immediate success, becoming a partner in just six years. His impressive resume includes a partnership in the San Francisco office of McCutchen, Doyle, Brown and Enersen (now Bingham McCutcheon). Michael was brought on board when they needed to add a skilled patent prosecutor/strategist to supplement their IP/patent litigation/licensing offerings. In 2002, Michael established his solo patent law practice as YourPatentGuy, and has since developed a large and diverse set of clients in the Bay Area and throughout California, the U.S. and the Far East. 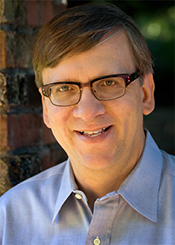 In addition to advising clients one-on-one, Michael is dedicated to educating and inspiring inventors. He offers a free downloadable Inventor’s Guide, an information-packed newsletter, and a newsy blog to help innovators maximize their project’s success. To discuss your patent project contact Michael.